The New Africa Power joint venture (JV) plans to develop a 65 MW portfolio of small-scale, run-of-the-river hydropower projects in Zambia. The JV, established by Nairobi-based energy holding company responsAbility Renewable Energy, international finance institution Norfund and investment company Vineyard, has committed $4.6-million for the feasibility phase of the development, which is expected to be completed by the third quarter of 2018. New Power Africa has already finalised an intensive site reconnaissance and hydrological assessments, as well as initial social- and environmental-impact assessments. Construction on the first power plant is expected to start in 2020. 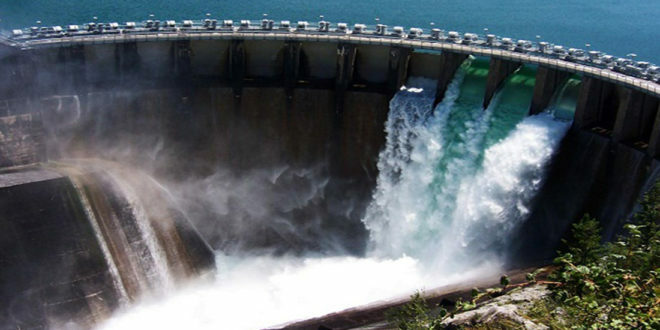 According to Engineering News the jointly managed venture by responsAbility and South Africa-based REH Project Development, the JV plans to exploit Zambia’s significant untapped hydropower resources. “In a next step, New Power Africa will develop the projects for submission under the renewable energy feed-in tariff (Refit) programme, thereby ensuring alignment with the government’s economic and social development programmes. “The Zambian government is committed to improving energyaccess for the country’s population while simultaneously ensuring the sustainable supply of affordable electricity to power its economy, especially the mining sector. A recently announced Refit programme is designed to help achieve this objective,” the JV partners said. The development activities will be implemented by contracted specialist service providers including REH ProjectDevelopment and responsAbility as project managers and Aurecon Consulting Engineers as technical consultants. “Increased access to energy is crucial for development and poverty reduction. Investing in clean energy projects is of high priority for Norfund. Our experience is that successful clean energy projects depend on well-prepared and agreed public–private partnerships. We appreciate that this is now in place for this project on hydropower generation in Zambia,” Norfund CEO Kjell Roland said. “This is an example of how we are working closely with experienced developers such as REH and like-minded investors such as Norfund to support governments in Africato meet their countries’ energy needs,” ResponsAbilityRenewable Energy Africa executive director Joseph Nganga explained.